Part One provides a clear and concise introduction to teaching grammar‏‎ in the foreign language classroom, plus a useful guide to designing and presenting grammar-practice activities and some tips for getting the most out of coursebook exercises. Part Two consists of nearly 200 game-like grammar practice activities. The activities are grouped into sections according to grammatical categories. The categories are ordered alphabetically and cross-referenced in the text. The descriptions of the activities are accompanied, where appropriate, by reproducible sample texts and visuals. The activities are not classified by learner level or age but are readily adaptable to different levels and the author herself encourages teachers to adapt them to suit their own students. Likewise the activities are not classified by skill as many are designed or can be adapted to practise any or all of the four language skills‏‎. The activities are listed by term, topic and title and can be easily searched through the simple but effective alphabetical index. The guide is written in British English, so if you’re teaching American English‏‎ you may want to adjust some of the phrases or vocabulary‏‎. 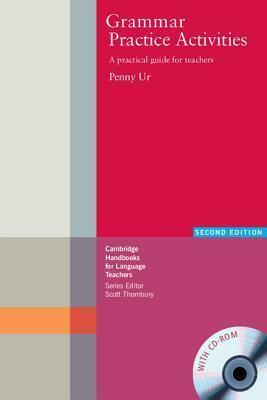 Other than that, the book’s easy-to-use format, comprehensive coverage, sturdy paperback construction and handy size make it an indispensable addition to any ESL‏‎ teacher’s tool-kit!